I gots me a derg! Her name is Sophie/Acorn. I was at the animal shelter looking at another dog when she came in. First doggo was not a great match, and I asked about having them call me when she was ready to adopt. 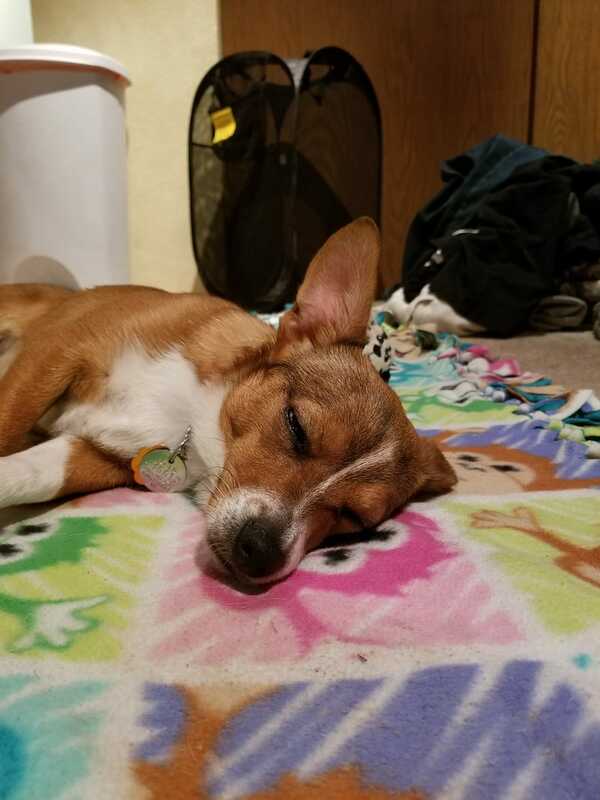 After 3 months of searching, I found a beautiful corgi mix.